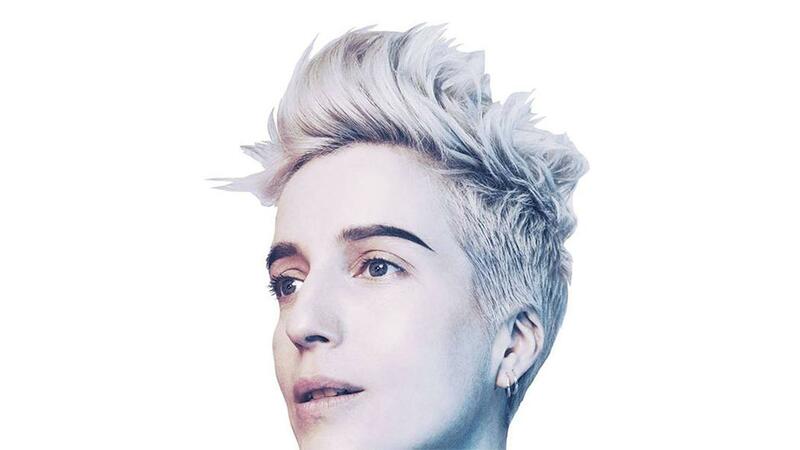 Jeanne Added’s 2015 debut album, Be Sensational, announced her as a distinctively vulnerable talent on the strength of the singles “Look at Them” and “A War Is Coming”. Especially the latter, with its black-and-white visuals of crazy up-close shots of glitter and blood, along with a gorgeous and intense art-pop fuelled performance, that immediately put the 37-year old French multi-instrumentalist in the spotlight. She can easily be filed alongside St. Vincent, Héloïse Letissier and other artists influenced by 80s nostalgia, but, still, it’s hard to pin her a certain musical influence. Perhaps it’s because of her jazz and classical music studies as well as her early collaborations with artists from diverse musical backgrounds, e.g. the sonically adventurous Rachid Taha, the jazz musician Stéphane Kerecki, and the indie pop band The Dø. In any case, Jeanne doesn’t just experiment with differences, she embraces them as a natural part of her artistic existence. In her new album, Radiate, co-produced with the band Maestro and released in September 2018, there’s catchiness and strength. Jeanne’s artful fluidity extends to the ease with which she blends traditional French pop with elements of contemporary R&B and indie electro, sounding fresh and emotional. Indeed, it’s her musical agility that makes her thoughtful electro-pop that much richer.